Baruch Lev is the Philip Bardes Professor of Accounting and Finance at the Stern School of Business, NYU. This article first appeared on the Lev End Of Accounting Blog and is shared here with his permission. We are inundated with great economic news: The stock market is at all-time high (despite wide fluctuations), unemployment is the lowest in two decades, consumer confidence is the highest in many years, and corporate profits are surging from quarter to quarter. A real economic recovery to be sure. So, you will be shocked to see the following figure (developed with my colleague Feng Gu), which I haven’t seen anywhere else, nor mentioned by economists and pundits. The figure shows the percentage of U.S. public companies reporting an annual loss, from 1960 through 2016. The two curves portray the percent “losers” from all public companies (lower curve), and the percent “losers” from all technology and science-based companies (computers, software, pharma, biotech, etc. ), presented by the upper curve. The main finding: Both curves are fast increasing. The percent losers from all companies increased from 18% in 1980 to 46% in 2016. For high tech and science-based companies the losers reached 69%! In 2016. The loss reporting epidemic rivals now the flu. High tech and science-based enterprises seem to be perennial losers rather than growth drivers. So, where is the economic recovery if half the companies are reporting losses? Shouldn’t a recovery be reflected by an increasing number of profitable companies? I felt that there is something fishy in those GAAP-based earnings numbers, leading me to look deeper into the data. The effect of one-time (transitory) items: Since the FASB switched in the 1980s to a “balance sheet model,” emphasizing the valuation at fair (current) values of assets and liabilities, corporate income statements increasingly included the consequences of these valuations: one-time items, such as gains/losses from adjustments of assets and liabilities to fair values, impairments of assets and goodwill, restructuring costs, etc. Most of these items reflect past events and are irrelevant for forecasting future firm performance―the focus of investors. Indeed, analysts routinely disregard some of these items in their “Street Earnings,” and managers delete them from their non-GAAP earnings. So, I computed the percentage of loss firms due to one-time items (“special and extraordinary items” and restructuring charges) during 2010-2016. Namely, firms that would have reported a profit if the one-time charges were eliminated. These percentages ranged between 8-10% for all loss reporters, and 5-8% for high tech and science based companies. So, one-time items are one reason for loss reporting, though not the major one. I kept digging into the data. The effect of intangible investments: Internally-generated intangible investments―R&D, brands, IT, human resources, organizational capital―are immediately expensed, following GAAP rules, despite the obvious fact that in modern economies these investments are the most important and consequential long-term value-drivers of business enterprises. This massive expensing in the income statements of U.S. companies―total corporate investment in intangibles during 2016 exceeds $2.1 trillion (yes, trillion! )―turns the profits of many successful and promising companies into losses. Tesla’s massive losses are mainly due to the expensing of R&D ($834 million in 2016). So, how many loss reporting companies would have reported a profit if their R&D was capitalized? The data show that 9-10% of all “losers” and 20-26% of the loss reporting high tech and science-based companies would have reported profits if R&D were not expensed. 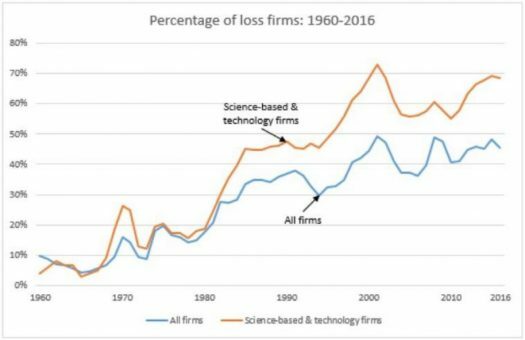 Think about it: a quarter of all high tech and science-based firms report losses just because they invest in future growth. And you call this accounting? But R&D is just one, and not even the largest, intangible expenditure. Other intangible investments, such as on IT, brands, human resources, designs, consulting engagements, etc., are not reported separately in the income statement by firms, and generally “buried” in SG&A (sales, general and administrative) expenses. So, what is the percentage of loss reporting firms who would have reported profits if SG&A expenses were added back to earnings (SG&A includes R&D in my data source―Compustat)? This is a big number: 43-51% of all losers and 50-56% of science-based and high tech losers during 2010-2016 would have reported profits before SG&A. So, if I add the two major reasons for loss reporting―intangible investments and one-time items―I account for 50-60% of all the loss reporting. The fast increase in loss reporting portrayed by the figure above is thus mainly due to the increasing proliferation of new-age firms (high tech, science-based, telecom, media, etc.) whose investments are mostly intangible, and their reported earnings seriously misstated by GAAP-based financial reports. So, while the above figure seems to contradict the economic recovery, it really doesn’t. If the archaic, detached from reality accounting rules will not be changed, we will continue to witness more and more “losing companies,” by GAAP misleading yardstick, while the economy continues to prosper. 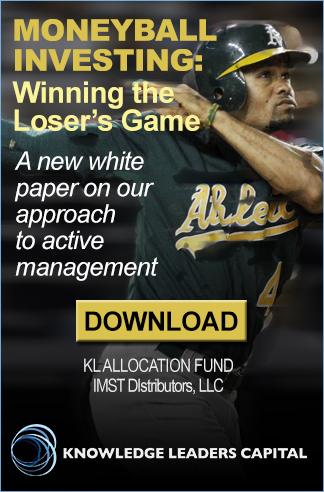 The real losers are investors who rely on GAAP-based financial reports. Adding back SG&A to earnings is not a perfect adjustment for intangibles expensing. SG&A includes regular expenses, like sales commissions and administrative salaries. The elimination of SG&A is just intended to provide a ball-park figure. 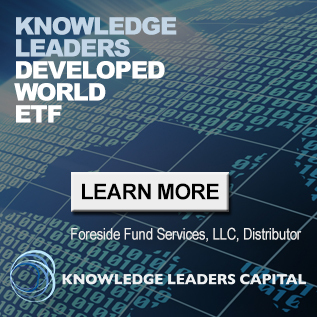 Professor Lev is not affiliated with Knowledge Leaders Capital and his opinions are his own.